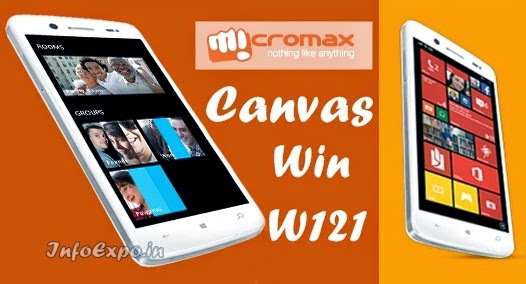 Micromax launched their first Windows Phone Micromax Canvas Win - W121. Canvas Win - W121 is loaded with Windows 8.1 version. The device comes with a 5 inch IPS display(12.7inch). It is powered with 1.2GHz Quad core and 1 GB RAM. Canvas Win W121 is a dual SIM Phone. The device has better battery, camera and Connectivity features. Leather Back Panel is a special design feature.